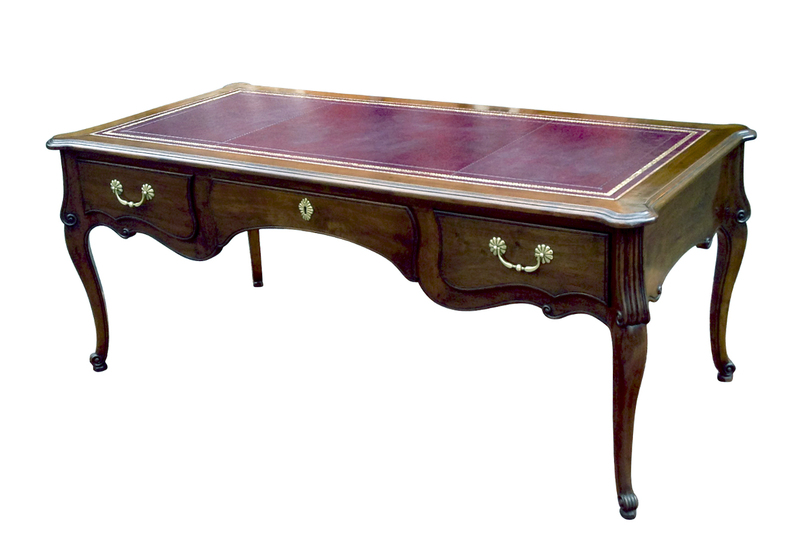 This large, good quality, writing table or desk is in the French provincial style of Louis XV, in a dark walnut. 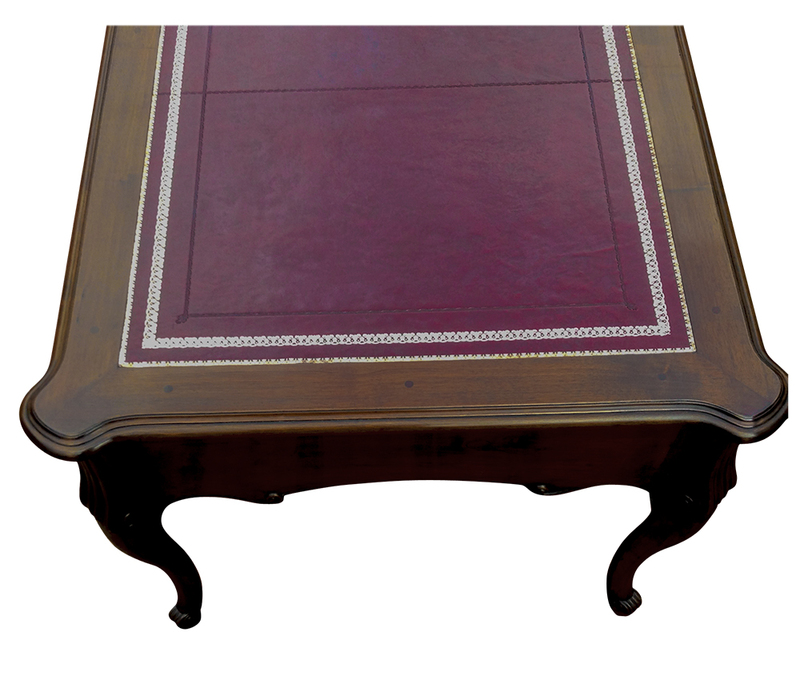 It has recently benefitted from professional cleaning and traditional restoration including french polishing. 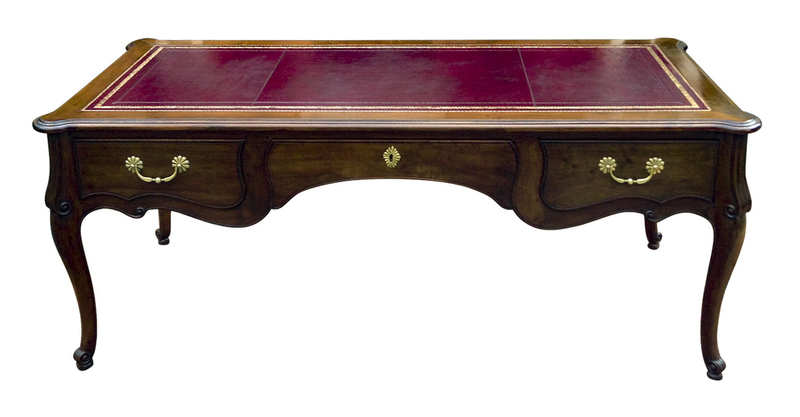 It also has a replacement burgundy leather writing surface fitted with gilt and blind tooling.. more details below. 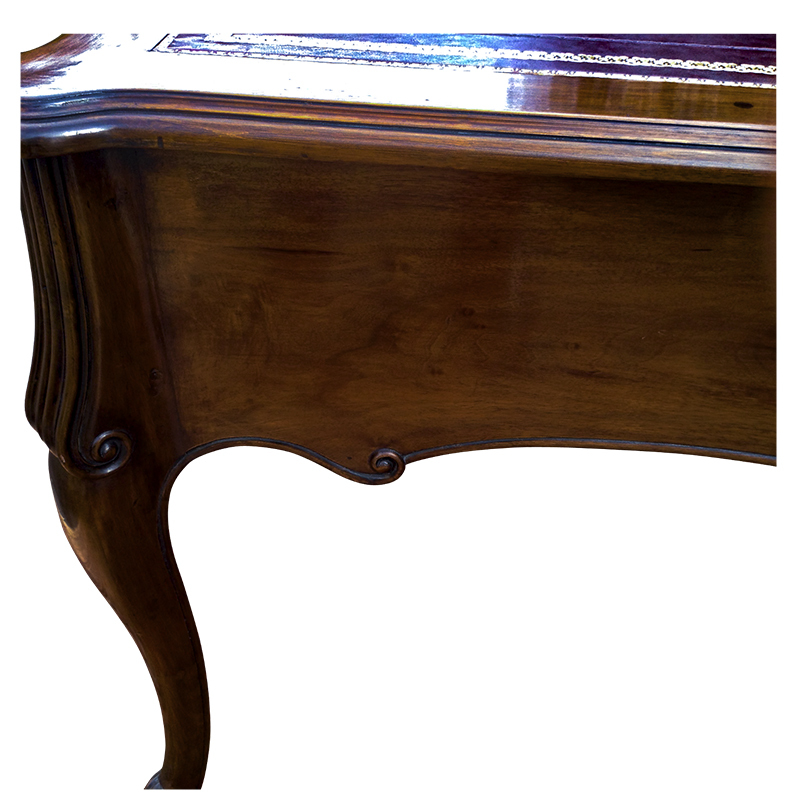 You may also be interested in a antique chair to accompany this beautiful antique desk? 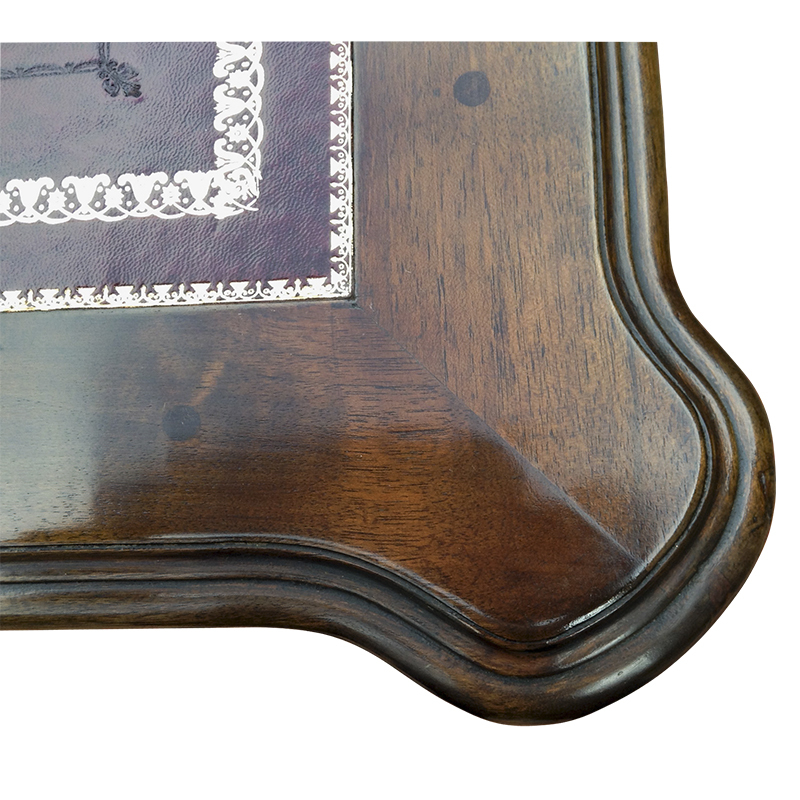 It has recently benefitted from professional cleaning and traditional restoration including french polishing. 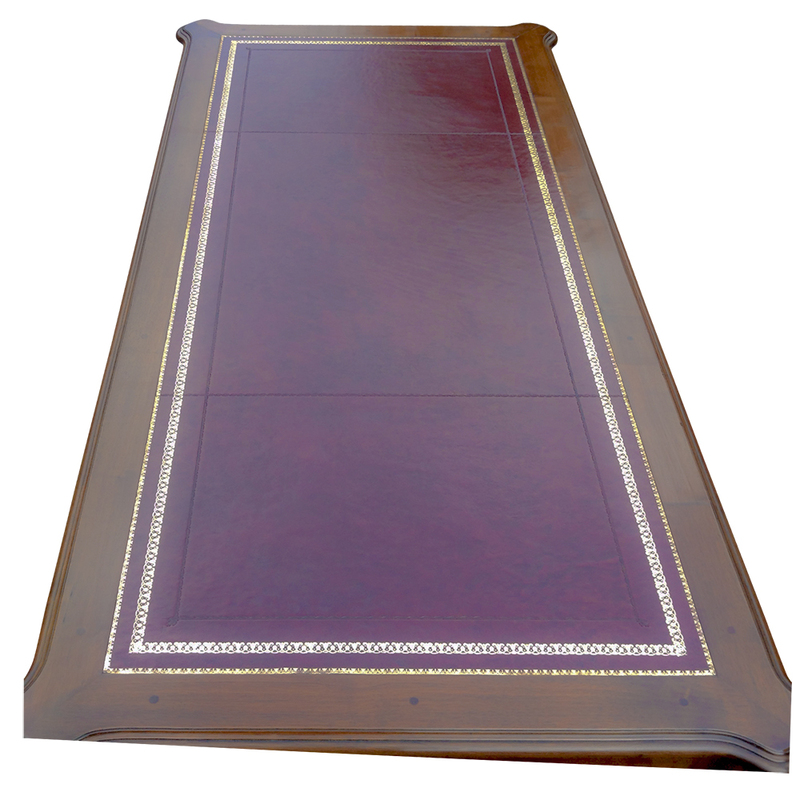 It also has a replacement burgundy leather writing surface fitted with gilt and blind tooling. 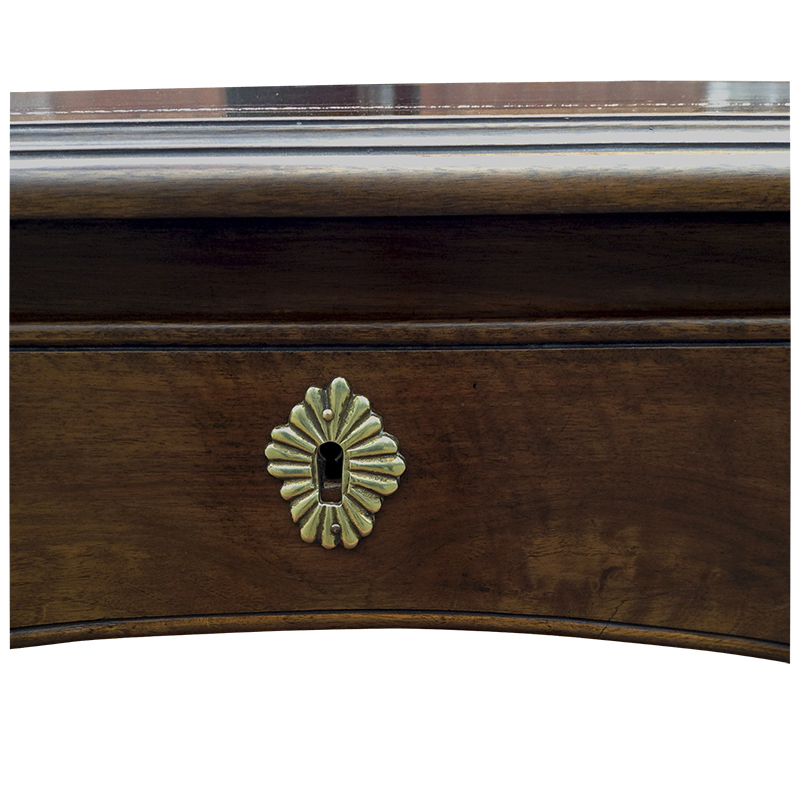 The front of the desk is fitted with three deep drawers the reverse has 2 faux drawer fronts either side of the smaller central drawer. The central drawers have locks with keys. 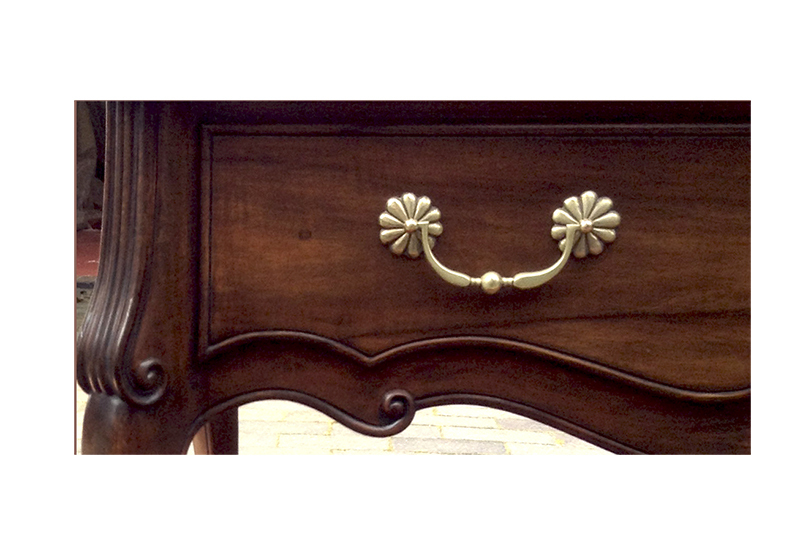 All of the drawers have the original brass handles and escutcheons. 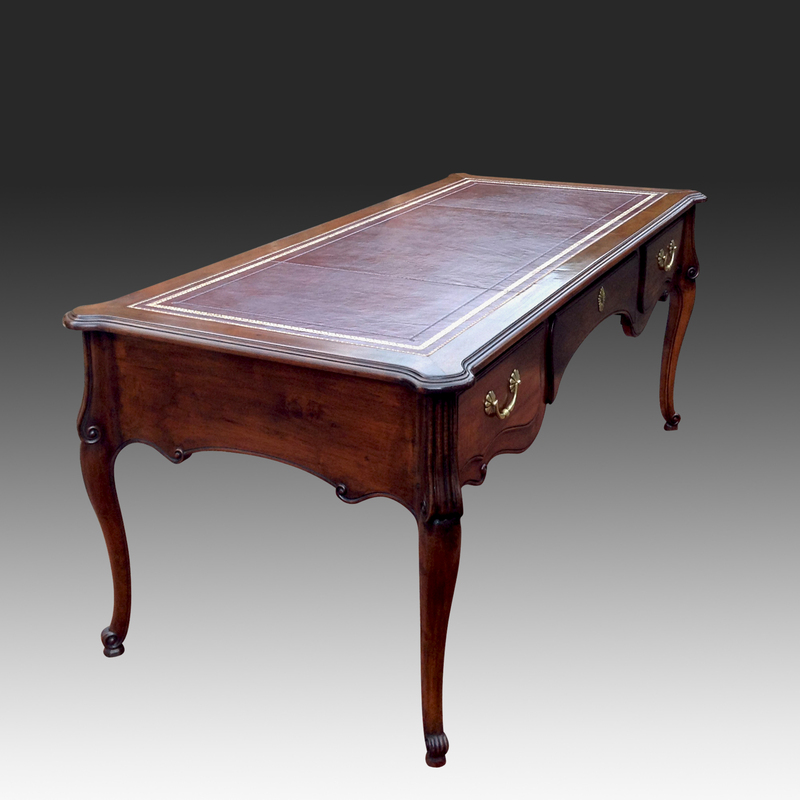 This lovely French desk is polished all round, so that it can be used facing into a room, with nicely carved serpentine and moulded edges. 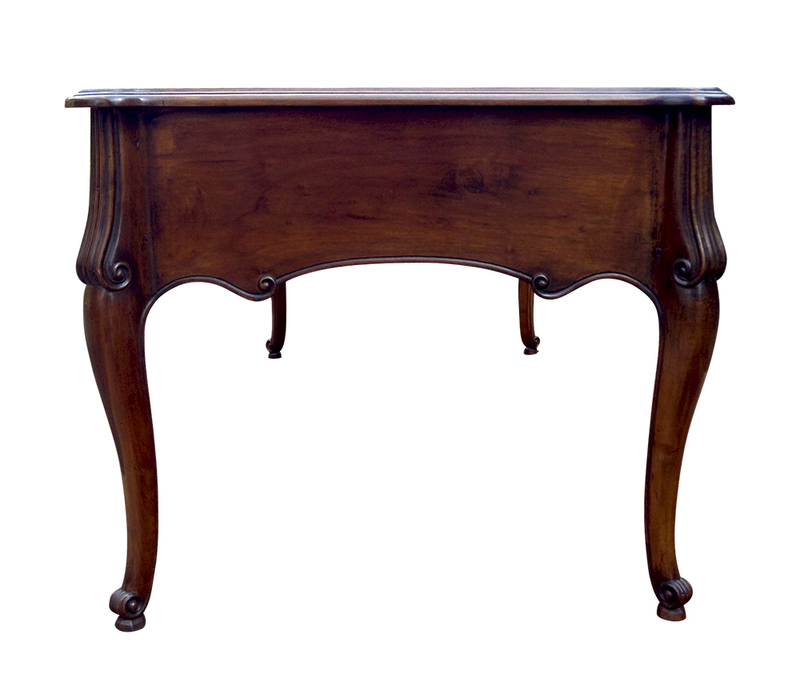 It stands on cabriole legs with carved scroll feet.